The investigational AKT inhibitor capivasertib (AZD5363) demonstrated clinical activity in patients with AKT-mutated cancers, suggesting the validity of tailoring treatment to tumor genes, according to findings from a phase II study that is part of the larger NCI-MATCH trial. The results were presented at the 2018 EORTC-NCI-AACR Symposium on Molecular Targets and Cancer Therapeutics. 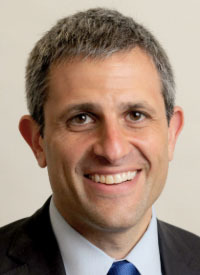 “In this trial, we wanted to see if capivasertib could be used in patients with any type of cancer whose tumors have the mutation that leads the AKT molecule to become overactive and make the cancer grow,” Kevin Kalinsky, MD, an assistant professor of medicine at NewYork-Presbyterian Hospital/Columbia University Medical Center, said in a news release. The phase II trial (EAY 131-Y; NCT02465060) enrolled 35 patients with metastatic AKT-mutated tumors who previously received 3 or more lines of therapy. Capivasertib was orally administered twice daily in weekly cycles of 4 days on/3 days off. Tumors were measured by CT imaging prior to and after treatment. Results showed that tumor reduction was observed in 8 patients (23%); 16 patients (46%) had stable disease. Researchers estimated that, in 6 months following treatment, 52% of patients were alive and had stable disease. Regarding safety, the most frequently reported adverse events were high blood sugar, fatigue, diarrhea, nausea, vomiting, and rash. NCI-MATCH (NCT02465060) is a study program designed to determine whether treating patients with cancers according to their molecular abnormalities will show evidence of efficacy, with the ability to add or remove new treatments over time. Each treatment is used in a unique arm of the trial. NCI-MATCH launched in August 2015 and has nearly 40 treatment arms, each of which aims to enroll at least 35 patients whose tumors have a specific molecular abnormality. Previously, researchers found that AKT was present in 1.3% of patients centrally tested in the NCI-MATCH trial. Charles Swanton, professor of the Francis Crick Institute, London, United Kingdom, scientific co-chair of the EORTC-NCI-AACR Symposium, commented on these data. “Although we understand more than ever about the role of genes in different cancers, there is still a lack of evidence on using this knowledge to guide treatments and improve patient survival,” said Swanton. “Outside of a trial setting, this approach is not widely available. This study is a small but important piece of evidence and it’s part of a larger study that will help us move towards more personalized cancer treatments. This trial approach is particularly important for those with rarer cancers where we know less about which treatments are most effective and conducting patient trials is difficult." Kalinsky K. AZD5363 in patients with tumours with AKT mutations: NCI-MATCH subprotocol EAY131-Y, a trial of the ECOG-ACRIN Cancer Research Group (EAY131-Y). In: Proceedings from the 30th EORTC-NCI-AACR Symposium on Molecular Targets and Cancer Therapeutics; November 13-16, 2018; Dublin, Ireland. Abstract 001.